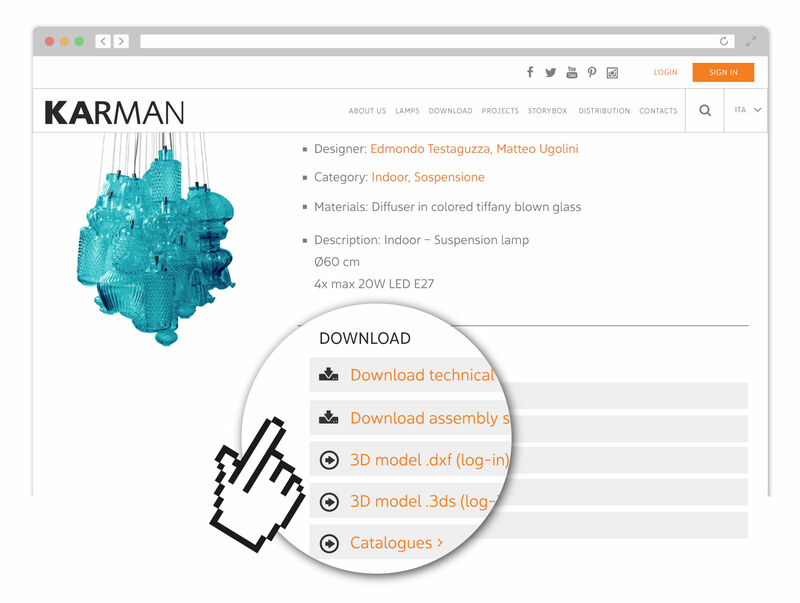 Follow these 2 simple steps to download the assembly schemes of Karman’s lamps. Navigate to the product page of the one you are interested in. Once you are on the page of the product you were looking for, scroll down and click on the download link in the download section at the beginning of the page (you don’t need to be registered to our website). To download the contents you must be registered on our website.